Jack here again, fresh off the boat from the 143rd AES Convention. This was actually my first AES Convention, and I believe this was an excellent one to start with. I’ll definitely be going again in the future. What a blast! 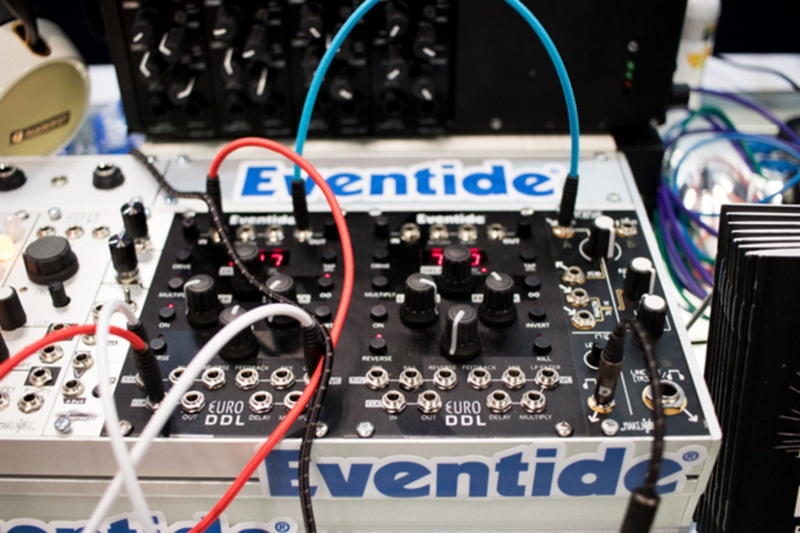 I was very busy at the Eventide booth since there was a constant flow of engineers and artists eager to see what we had in store. Fortunately, there were plenty of my coworkers at the booth, so I had the chance to walk around a bit and check out the other booths at the convention. Every company was here in their best form – Shure, Focusrite, Avid, Genelec and more. 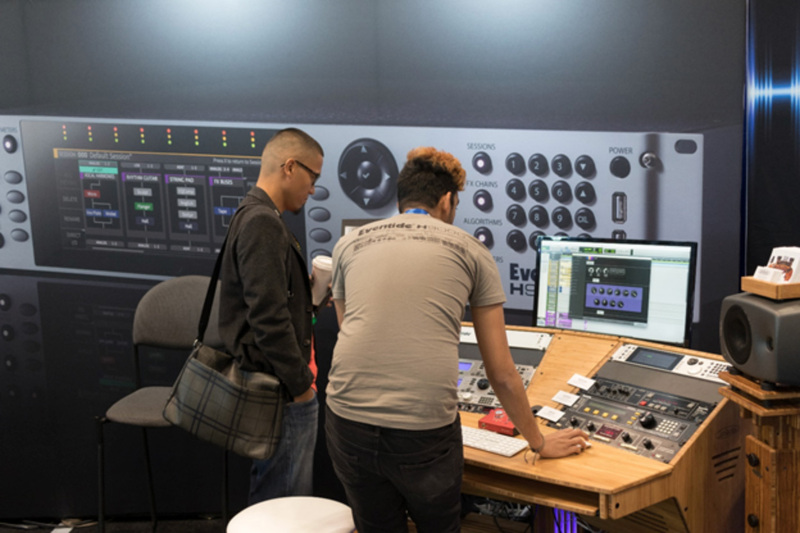 Solid State Logic is doing what they do best: giving people as many options as they could dream of in terms of mixing consoles. 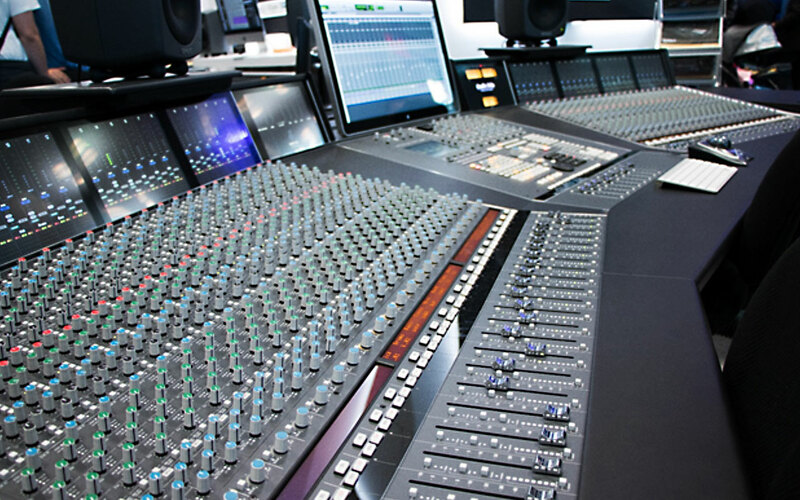 I mean, check out that new console above – I can’t even count how many faders there are. 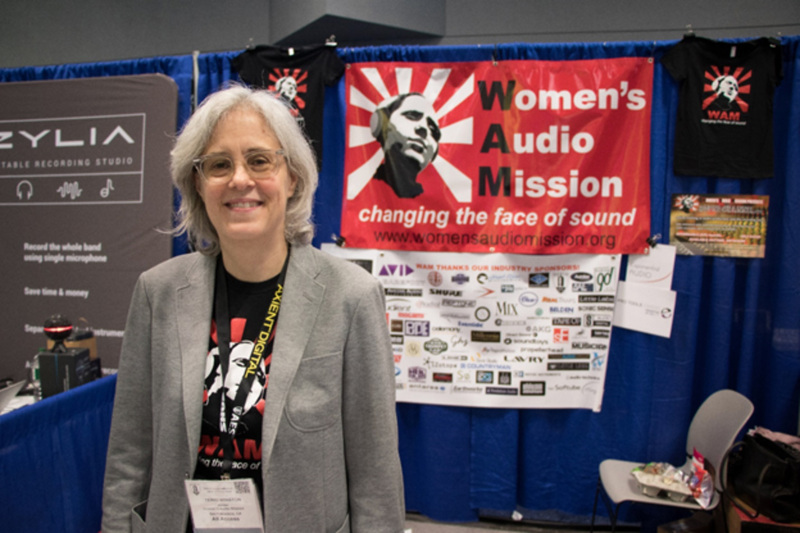 Every booth was interesting, but one booth at which I was floored was the WAM booth – the Women’s Audio Mission. Terri Winston, pictured here, has been an absolute force in terms of creating pro-women initiatives in the audio engineering industry. WAM offers all women the chance to succeed in the recording industry by offering very affordable studio time, inexpensive monthly membership for professional-grade mixing classes and easily accessible job postings for women in the field. I was very happy to see solid attendance of women at the convention – many stopped by our booth, including Susan Rogers and Erin Tonkon – but the numbers could always be higher. Thank you so much to Terri for helping the field be more diverse, which will surely result in more creativity for everybody! 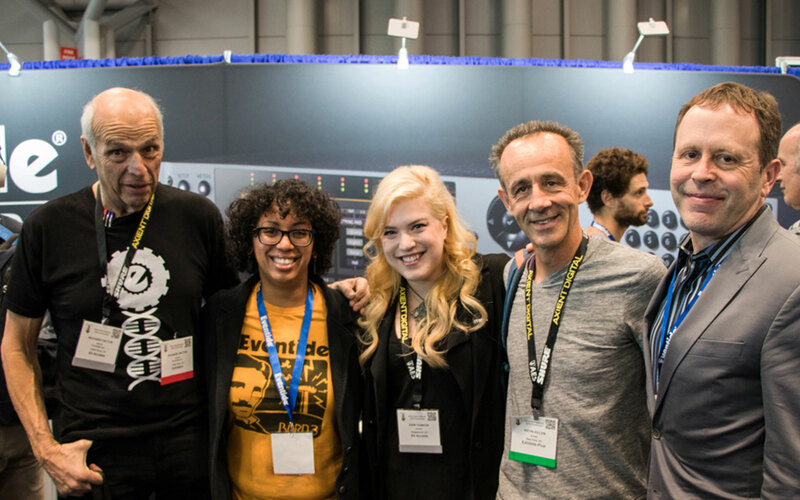 The Gear Club podcast was actually being recorded during AES and guests included Terri Winston and EveAnna Manley, as well as Andrew Scheps, George Massenberg, Rod O'brien, Geoff Daking, Larry Crane, and Michael Pettersen. Stay tuned for their stories, coming soon! But what about Eventide? Well, we had some big announcements to make too. 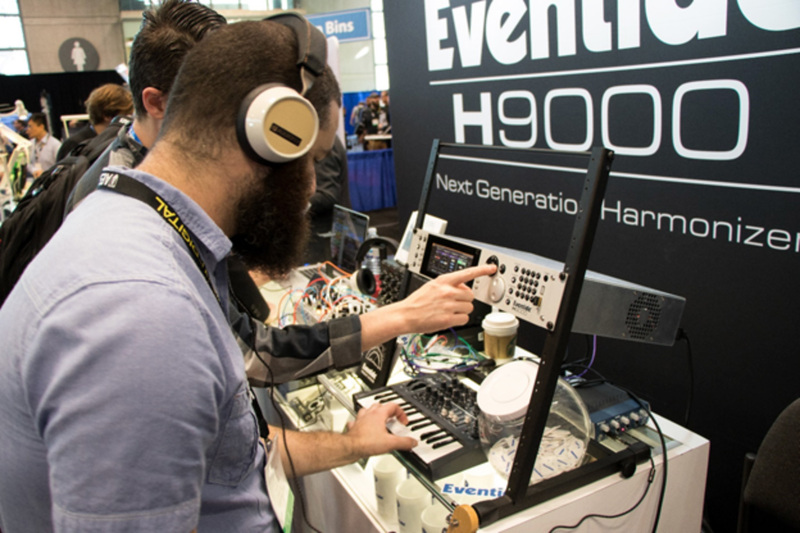 This year, Eventide was proud to debut the H9000. People got the chance listen to its swelling reverbs and crystal-clear harmonizers, to learn about FX chains, and discover the kinds of interfacing possibilities it can muster. People couldn’t believe their ears when we told them the extent of the H9000’s capabilities, and they had to try it for themselves. We had a station set up with a synth and guitar, and our product manager Patrick was busy showing off the new remote control app/plug-in, emote. Guests were also intrigued by the debut of our Euro DDL. We offered a hands-on demo of the product, to the joy of many the modular enthusiast who stopped by. You can find more details about the Euro DDL here. Eventide is extremely proud of its legacy. Many guests came to our booth telling us that they loved products like the H910, H949, SP2016 and H3000. We were very happy to tell them that we’re continuing our quest for creating exceptional equipment that pushes the boundaries of what FX processing can do for artists in every field. The H9000 is the most powerful unit we have built so far, and it carries the legacy of every product we’ve made in the past 45+ years, either by copying presets in old units or improving upon tried and true formulas. 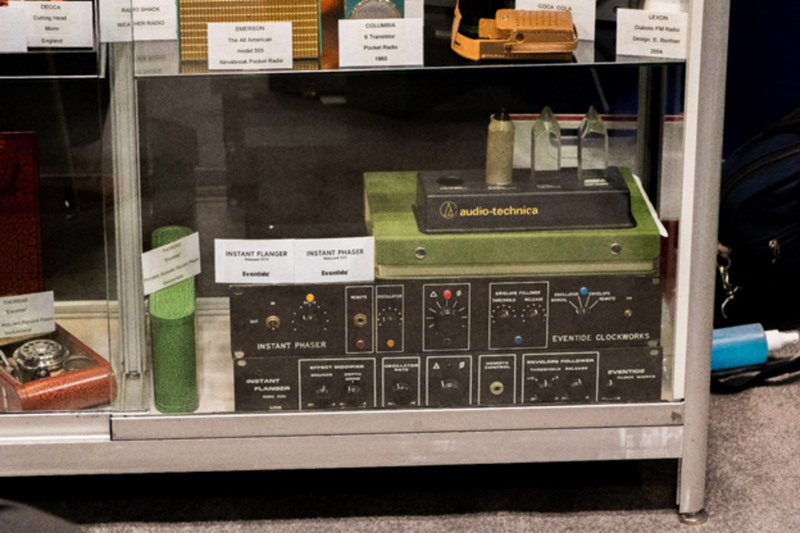 Our Instant Phaser and Instant Flanger, put on display in the booth for the Audio History Library. Thank you, AES, for giving us the chance to debut our newest work; and thank you to everyone who stopped by our booth!